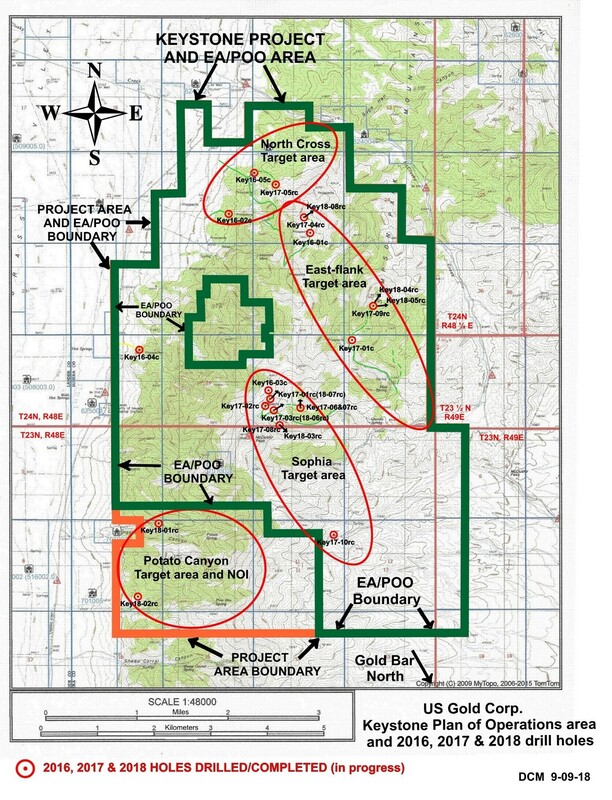 ELKO, NV, September 17, 2018 — U.S. Gold Corp. (NASDAQ: USAU - https://www.commodity-tv.net/c/search_adv/?v=298164), a gold exploration and development company, reported today that its Plan of Operation (POO) for its 100%-owned Keystone Project on Nevada’s Cortez Gold Trend (Battle Mtn-Eureka Trend) has been approved by the U.S. Federal Government’s Department of Interior, Bureau of Land Management (BLM). The decision letter is available at: Keystone_Decision. With this approval, U.S. Gold Corp. can now access and drill almost all localities of BLM managed public lands within the 20 square mile Keystone Project area.